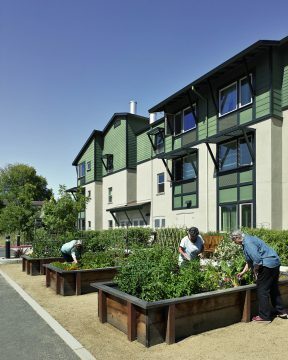 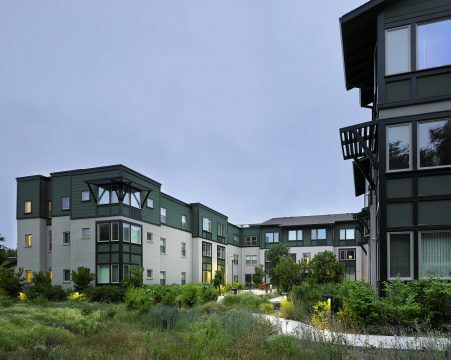 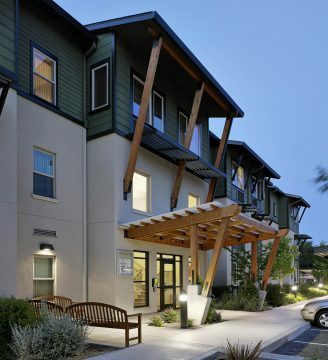 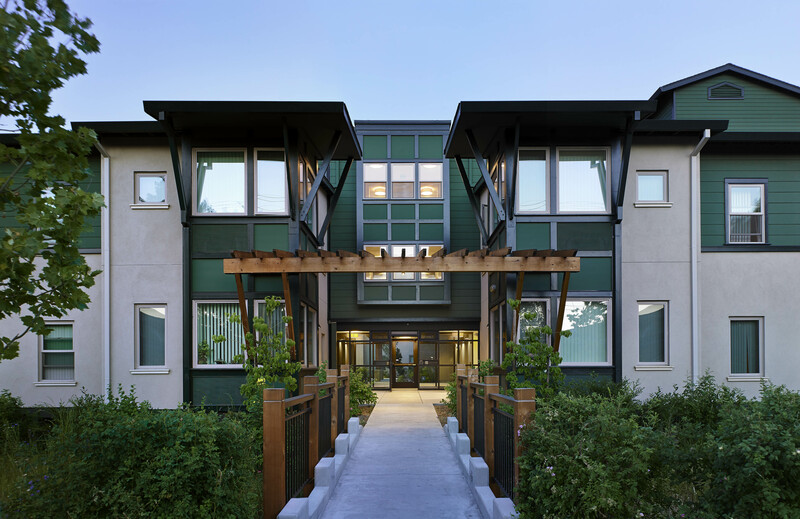 Warner Creek is a 61 unit affordable housing development for seniors built on a vacant lot in Novato, CA alongside a creek bank. This site along Diablo Avenue is the quintessential infill site, adjacent to mid-density apartments and condominiums of two and three stories and an occasional 4th story. 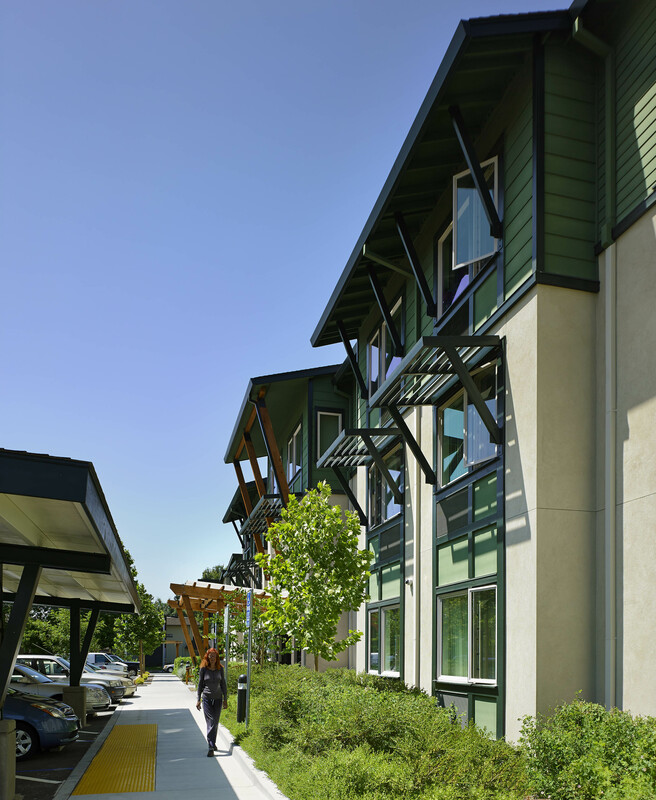 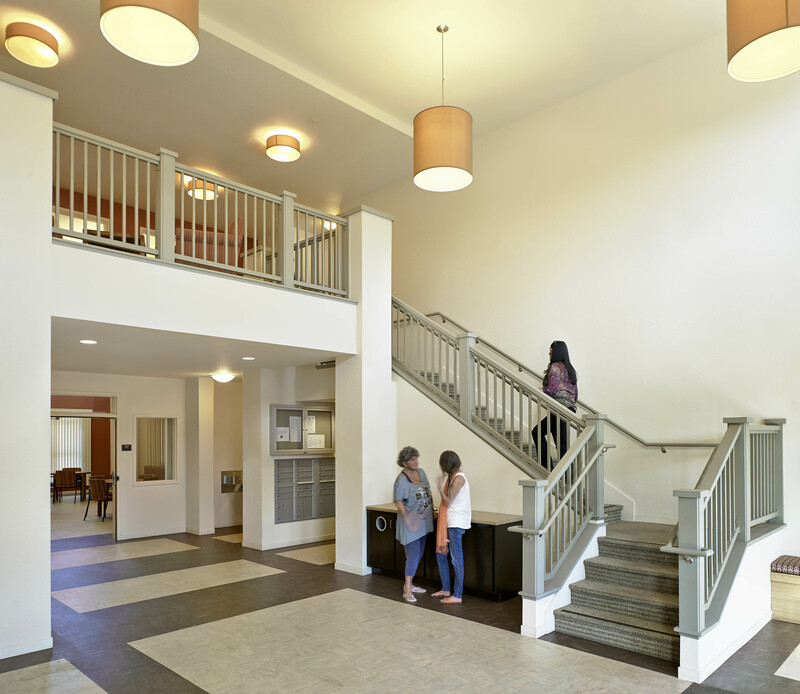 The project site is located close to walkable community amenities including the Novato Fair Shopping Center, Golden Gate Transit lines that run along Novato Boulevard, and the Margaret Todd Senior Center. 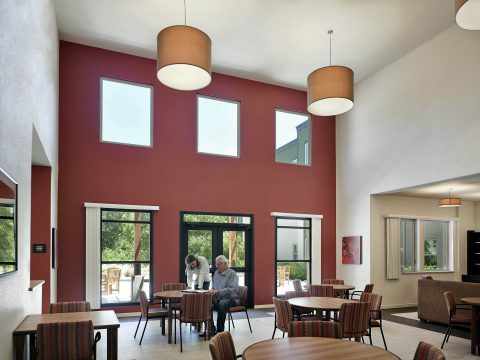 Design an affordable residential community of one bedroom units for seniors over 55 to “age in place”. 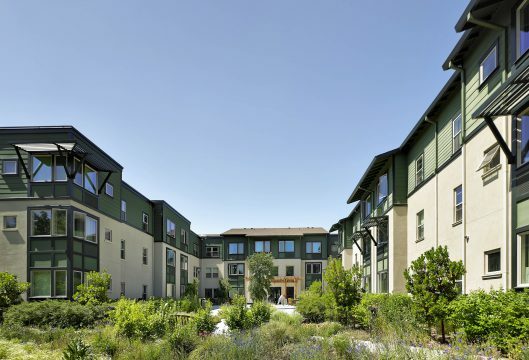 49 on-site parking spaces, landscaped courtyards, community gardens, an outdoor patio, walkable paths, a community room, and onsite service programs for the residents.